Well-preserved finds of sacrificial cakes from the Sanctuary of Demeter at Monte Papalucio (Oria, southern Italy, VI-III cent. B.C.) are among the most famous bread-like remains from the ancient Mediterranean region. 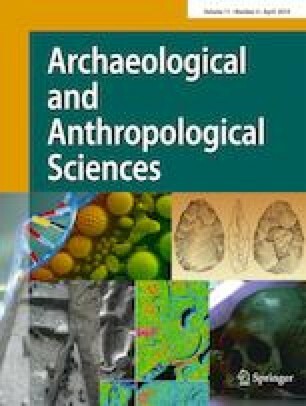 These unusual finds represent direct and rare evidence of the food products offered as part of religious practice by the indigenous (Messapian people) inside a particular ‘place of encounter’, a place of worship closely related to the south Italian colonial Greek world (Magna Graecia). This paper offers for the first time a detailed analysis of the internal structure of these bread-like remains using Environmental Scanning Electron Microscope and Image Analysis in order to detect plant-based ingredients and the techniques employed in the production and cooking processes. Moreover, considering the cultural context, the sacrificial cakes from Oria Sanctuary offer a rare opportunity to directly compare the ‘cake’ finds and ancient written Greek sources, allowing for a deeper understanding of the chaînes opératoires of cereal processing in the past as well as the perception and role of these products among the ancient societies of the region. The contribution presents and discusses the results of these analyses and offers valuable, integrated information hidden inside the ancient cakes. A better understanding of the reciprocal influences and possible divergences between native and Greek culture is achieved by taking into consideration ancient Greek tradition on bread and cakes in sacred contexts and the interplay. This is a work in progress, partly funded by the European Research Council within the framework of project ‘PLANTCULT’: Identifying the Food Cultures of Ancient Europe, under the European Union’s Horizon 2020 Research and Innovation Program (Grant Agreement No. 682529, Consolidator Grant 2016-2021). Initial research into the ancient texts was also funded by Thrace Flour Mills (Aristotle University of Thessaloniki Research Project 93268). K. Symponis and V. Fyntikoglou helped with the ancient texts. The authors wish to thank Prof. F. D’Andria for providing the cakes from the Oria Sanctuary, Prof. G. Semeraro together with Prof. G. Mastronuzzi for useful discussion on archaeological aspects. We are grateful to the two referees for their helpful comments.